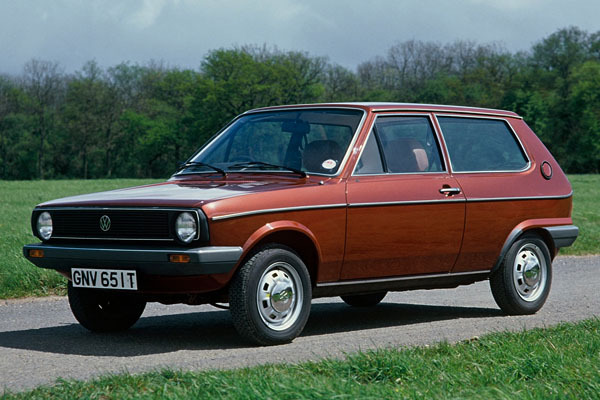 Long-standing and well-known Volkswagen parts supplier Heritage Parts Centre is now reproducing windscreen seals for the first-generation Polo and Audi 50. As the early cars now attract a growing following and original parts becoming rarer, Heritage is using an OE quality manufacturer to faithfully reproduce the front windscreen seal for chrome trim. Priced at £44.95 and sold under part number 863-845-121/B, Heritage can also supply the correct and corresponding chrome trim, as well as the joining piece if required. For more details, call Heritage Parts Centre on 01273 444000, email sales@heritagepartscentre.com or visit heritagepartscentre.com. We thought the AutoMuseum Volkswagen had enough ‘old timer’ Polos in its collection, but we’ve recently heard that another has joined the ranks. 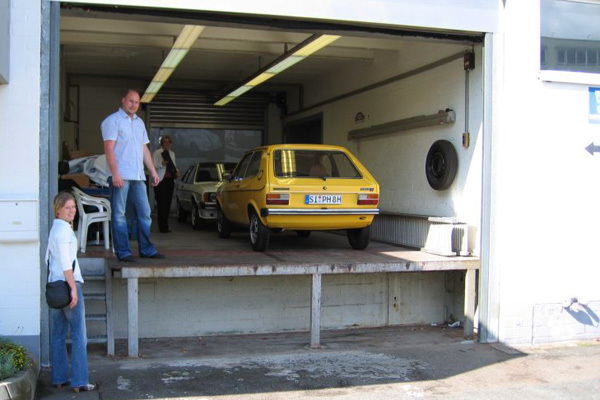 Michael Dreisbach’s immaculate Riad Yellow Series 1 Polo L has been installed in VW’s oldest car museum in Dieselstrasse, Wolfsburg (the AutoMuseum Volkswagen opened in 1985) on a temporary loan. The Polo made the 400km journey from Michael’s home under its own steam and without problems. Audi-50.de reports that there should be a news item on the latest acquisition soon on the AutoMuseum Volkswagen website. We’re hopping across to Wolfsburg in the next few weeks as part of a pan-German trip, so we’ll keep an eye out for the latest arrival when we visit. 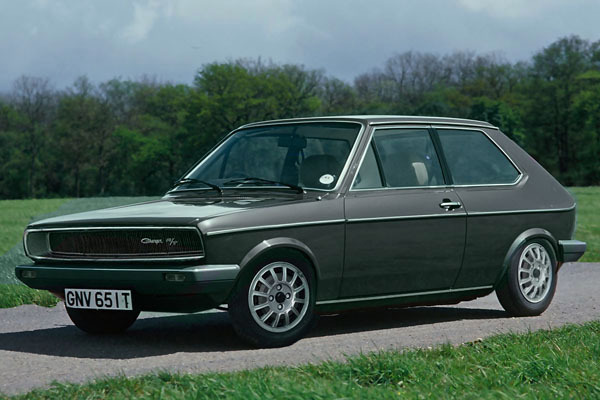 With an estate-like rear end with long rear windows, the Series 2 Polo from 1981 was never a pretty car like the Series 1 from 1975, at least not until the coupé came along two years later. 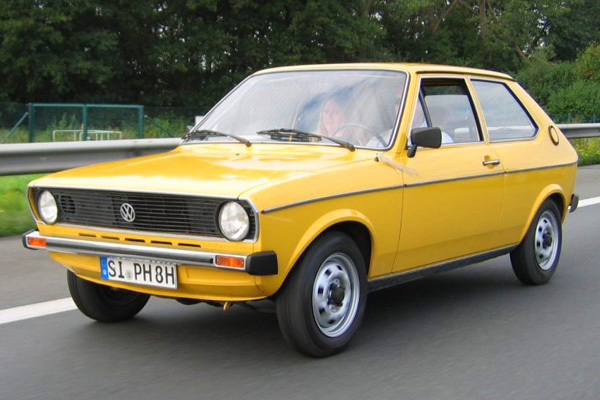 But, what would the Series 1 Polo have looked like if Volkswagen had been Series 2 radical a decade earlier? Over on Flickr, Littlepixel™ has been designing what he calls ‘Photochop’ cars since 2001, and his range of ‘chops include four Series 1 Polo-related models; a rally-inspired Audi 50 quattro, an Audi 50 saloon (think rebadged Volkswagen Derby), and ‘breadvan’ and Dodge Charger-inspired Series 1 Polos. Modified from the original press shots, we think they’re neat, and a glimpse as to what could have been. Head over to Flickr to see both Littlepixel™’s profile and his ‘chops photostream. 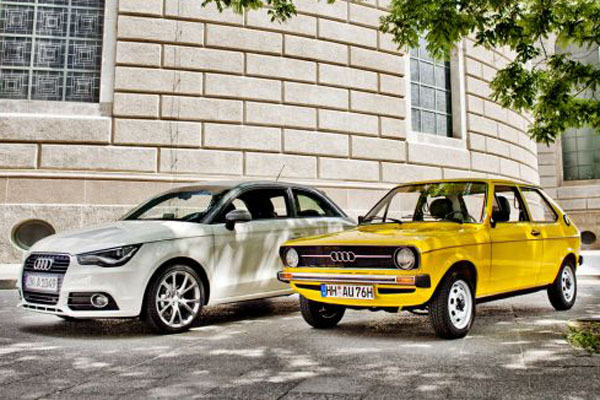 German car magazine Auto Bild has achieved the obvious and brought together the Audi 50 and A1 in its latest issue. We’re surprised that no-one has done it sooner. Comparing the two small cars with the same big idea is interesting to see, and the chaps at Auto Bild have tracked down an unbelievably immaculate Marino Yellow 50 for the meeting with its grandson. With its green interior, the 1974 Audi really is a time machine, and with that pretty, pretty body, the one that we’d pick from the two. Auto Bild’s UK sister title Auto Express has some photos from the comparison in issue 1,126 on sale now. Find the original Auto Bild test and photo gallery here (English translation on this link). 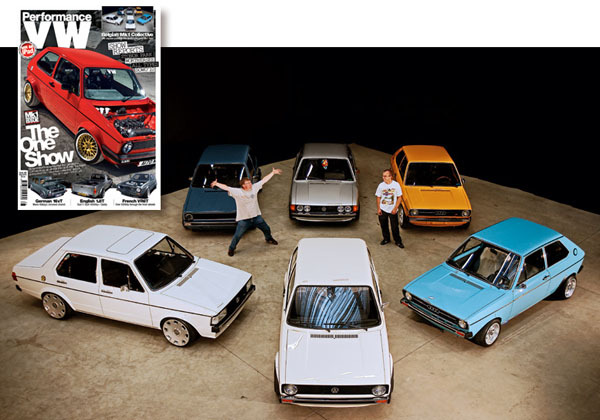 Long-running UK modified Volkswagen magazine Performance VW features a pair of pristine Series 1 Polos in its ‘Mk 1 Madness’ August 2010 issue, on newsstands now. Part of Belgian pair Kevin Winnepenninckx and Luc Jani’s collection of Mk 1 Volkswagens, both the Miami Blue and Marino Yellow ‘70s cars are flawless and show, that with very few mods, how right the original Polo/Audi 50 styling was at the time and just how pretty those early cars are. 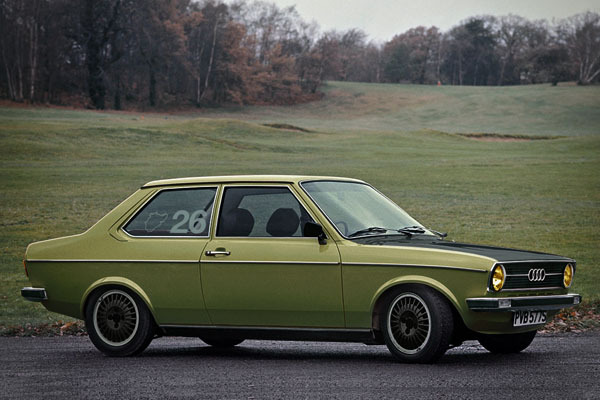 As well as the pair of Polos, there is a smattering of Mk 1 Golfs (including a 500+bhp French fancy), a rapid Caddy and advice for giving your Mk 1 a big power performance transplant.